Dragon Ball Super Season One Part 1 ended with the big battle between Goku and Beerus, God of Destruction, about to reach its climax, and so, thankfully for those who have been waiting for what is the third different version of this fight’s conclusion, that’s what we get with Episode 14. Episodes 15 to 18 are “filler” episodes, though again not in terms of waiting for any kind of manga to catch up, but still serve as more comedic or slice-of-life stories as a cool-down between arcs. We get a good old-fashioned ‘Mr. 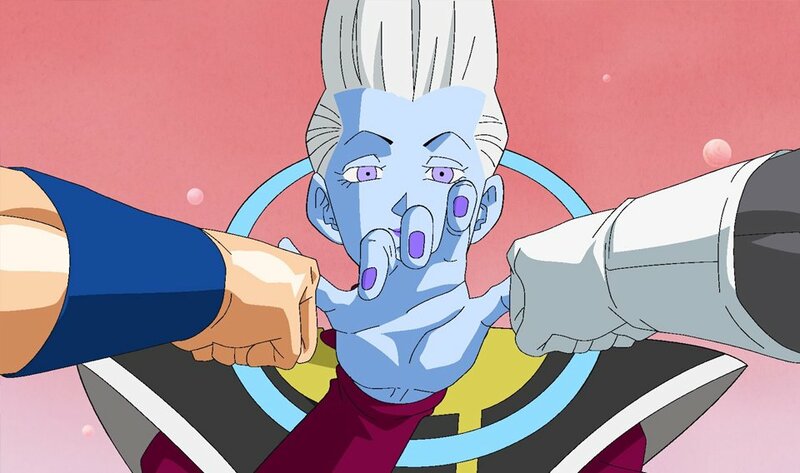 Satan accidentally becoming a hero’ story, we see Vegeta winning Whis over with his cooking in order to begin training on the angel and Beerus’s planet, and we get to see Pan being born… before Goku joins Vegeta in getting trained under the God of Destruction’s attendant. This is at least an improvement over the film, which just had the two in the middle of training at the start (due to time constraints, obviously). That leaves Episodes 19 to 26 to retell the majority of the Resurrection F storyline, which sees the remnants of Frieza’s army risk going to Earth and using the Dragon Balls to bring their former emperor back to life. There’s a lot of humour here, with Frieza’s hell being full of dancing bears and giggling pixies, and his resurrection only bringing a shower of Frieza bits due to how he was killed (luckily the new rejuvenation chambers are… impossibly good at their job!) It also has the child versions of Pilaf, Shu and Mai being the means to gather the Dragon Balls, as well as some funny scenes relating to them using the remaining two wishes. Frieza then trains for four months before heading to Earth to get his revenge, and the rest, as they say, is history. Well, with a few exceptions. Firstly, lackey Tagoma, who in the film was blown into space shortly after Frieza was brought back, is kept alive for the main fight and even gets a power boost by being Frieza’s punching bag during his training. This also leads to another big change relating to a returning Frieza arc character that I won’t spoil, but it’s given away in the title of Episode 22, so you’ll have it spoiled before you see it one way or another. Gotenks makes a brief appearance as well, though only for a quick gag, and a funny bit of dialogue when Frieza recognises Trunks as a child version of the Saiyan who killed him. Lastly, one of “our heroes” dies during this battle, which never happened in the film, but let’s face it, death in Dragon Ball means literally nothing. The rest plays out as it does in the film, with a big showdown between Goku and Frieza and their new transformations… that of course ends on this set with one more episode of the battle and story arc left to go… AGAIN. Actually there is another key difference between the versions, and that’s the animation quality. Some episodes on this set represent the series at its very worse, especially comparing it to the quality of recent Super episodes. Poor faces, bad and misshapen heads and a shot of Gohan powering up where he somehow has arms and legs far longer than his entire body. It can get pretty annoying, especially due to the bright and crisp 1080p picture emphasizing everything. The opening continues to be “Chōzetsu☆Dynamic!” by Kazuya Yoshii, while the ending is “Starring Star” by Key Talk up to Episode 25, as Episode 26 ends with the new ending of “Light Pink” by Lacco Tower. The extras are a sit-down feature with the English voices for Beerus and Whis called “Watching Dragon Ball Super with Jason Douglas and Ian Sinclair”, as well as textless openings/endings, and the usual trailers. In summary then, Dragon Ball Super’s second Blu-ray set is pretty much entirely skippable if you already own Resurrection F in the same format. You’ll miss a few admittedly enjoyable filler episodes and a returning character cameo, but to compare the animation and fight choreography between the two is laughable, which is normally the case anyway due to film budgets compared to TV, but it’s extra noticeably bad here. 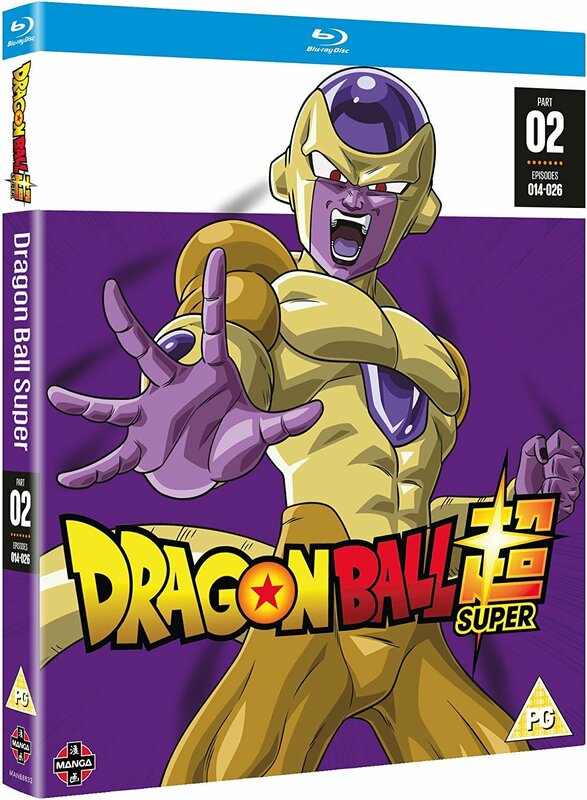 With the exception of featuring the last episode of this arc at the start, the next set will begin the Super exclusive storylines and arcs, so if you already own the Z movies on Blu-ray you can safely start your Dragon Ball Super collection with Set 3. Even if you don’t own the films, I recommend picking Resurrection F up instead, this isn’t the best way to experience what is admittedly a pretty poor storyline in the first place. 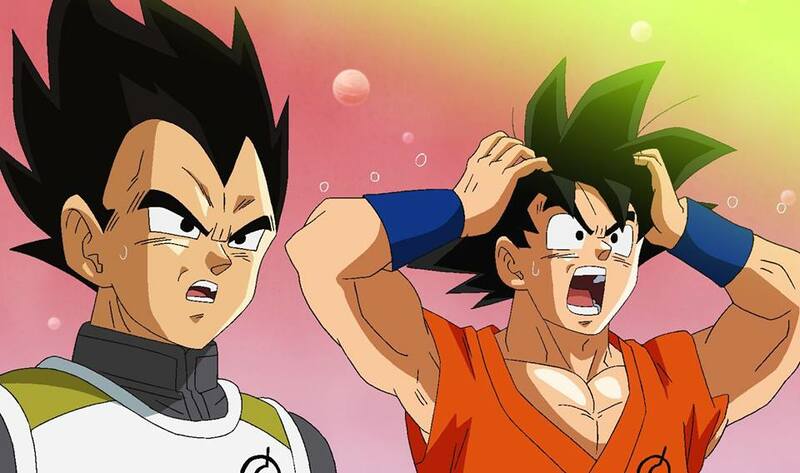 Dragon Ball Super reaches it first big, non-tournament arc as the evil “Goku Black” appears to re-ruin Future Trunks’ already dystopian world… but before that, standalone comedy episodes! Hooray! Part 5 of Dragon Ball Super has arrived, and with it thirteen more episodes of Future Trunks’ post-apocalyptic world being further ruined by an evil Goku doppelgänger, and possibly more! Does this depressing reality provide entertainment?! Let’s find out!